The use of imprinted polymers for selective solid-phase extraction of local anaesthetics from human plasma was investigated. Methacrylic acid-ethylene glycol dimethacrylate based MIPs were developed by the alternative template approach using a structural analogue, pentycaine, as the template. 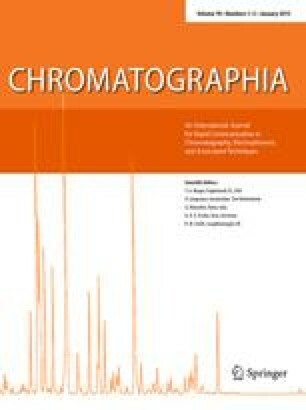 The influence of the type and concentration of detergent in the buffer on selective and non-specific binding was investigated. Tween 20, Triton X-100 and Brij 35 were found to eliminate non-specific adsorption and leave selective imprint-analyte binding essentially unaffected. Efficient pre-concentration of ropivacaine and bupivacaine from plasma samples, both off-line prior to GC and in-line with LC-MS-MS, was demonstrated.